Alcohol use carries side effects, which sometimes lead to grave outcomes for excessive drinkers. It is estimated that, in the United States alone, as many as 88,000 people die from excessive alcohol consumption annually. Each death accounts for an average loss of 30 years of life, so the tragic outcomes take a significant toll on society; extinguishing staggering amounts of human potential. visits are included the number climbs to nearly four-million trips to medical facilities - in a single year. Statistically, there is obviously a strong case to be made for reducing instances of excessive drinking, and the subsequent deaths and illnesses caused by over-consumption. But the incentives are even stronger for individuals having difficulty controlling excessive drinking behaviors. Plainly, excessive alcohol use is a matter of life and death. Harmful circumstances arise from excessive alcohol use. Short and long-term use leads to a variety of personal injuries and chronic health problems, which are exacerbated to include death as a dire side-effect of excessive drinking. 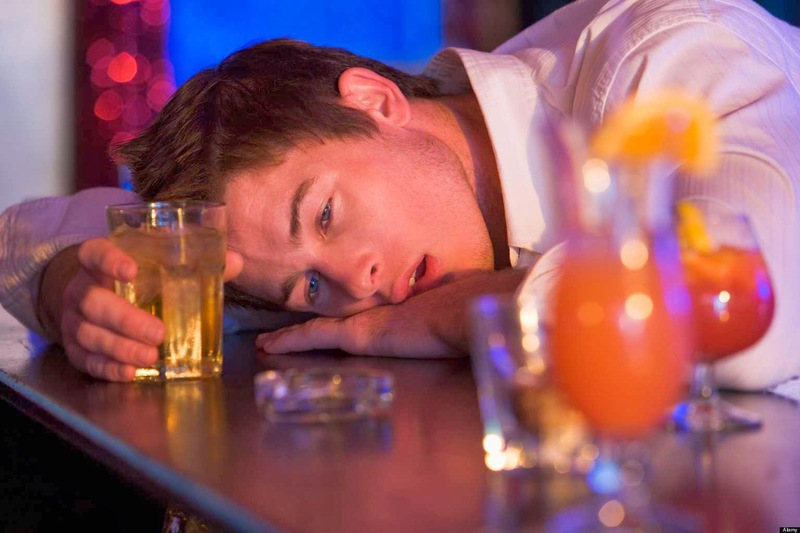 Short term use leads to injuries; generally ensuing as a result of binge drinking behavior that prompts alcohol users to engage in unsafe activities. Unintended consequences include falls and other injuries, which escalate as users get behind the wheel. Traffic injuries due to excessive drinking take a significant toll on society, as well as water accidents and firearms injuries related to drinking. Excessive use leads to alcohol poisoning; a condition which impairs the body's central functions from working properly. Alcohol poisoning causes respiratory distress, unconsciousness, coma and in the worst cases; death. Incidents of family violence also increase when excessive drinking is added to the equation. In addition to crimes against domestic partners, children often bear the brunt of alcohol related abuse. In addition to physical violence, drinking leads to child neglect, in some cases. Excessive, long-term alcohol use accounts for a number of physical, emotional, and psychological disorders, some leading to premature death. Neurological deficiencies and social problems are common long-term side effects of excessive alcohol use, as well as increased risk for several chronic diseases. Depression and anxiety are common psychological impairments resulting from excessive alcohol use, which lead to suicide attempts for some troubled drinkers. Cardiovascular function is impacted by alcohol use; resulting in conditions like arterial fibrillation (a-fib), cardiomyopathy and hypertension. While alcohol can be a contributing cause to these conditions, excessive use also contributes to the worsening of pre-existing diseases. Cancer risk increases with long term alcohol abuse; especially digestive disease like colon and esophageal cancer. Cancer of the mouth and throat are also more common among heavy drinkers. The liver is responsible for metabolizing certain substance we consume; including alcohol. Excessive long-term use has serious impacts on the liver's ability to do its job efficiently. Inflammation caused by excessive alcohol use is known as "alcoholic hepatitis", which can lead to death. Cirrhosis of the liver results from severe scarring brought on by excessive alcohol use. The condition often leads to death. In fact, Cirrhosis represents one of the top 15 causes of death in the United States. Excessive alcohol use leads to tragic circumstances; including deaths and injuries that take a heavy toll on society. Reducing binge episodes that lead to harmful outcomes is one way to reduce alcohol related tragedies, but managing long-term use is also essential for lowering the number of alcohol related deaths.